Kenco Light Roast – A lightly roasted ground coffee with a mild, light Kenco taste. Kenco Medium Roast – A medium roasted ground coffee ideal for everyday drinking. Kenco Dark Roast – A dark roasted ground coffee with a rich continental taste. 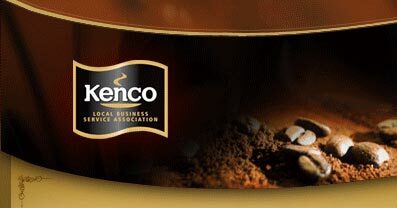 Kenco Decaffeinated - The smooth, balanced taste of Kenco ground coffee, decaffeinated. Kenco Cappuccino Creamer - combine with Carte Noir espresso for the perfect Cappuccino experience. 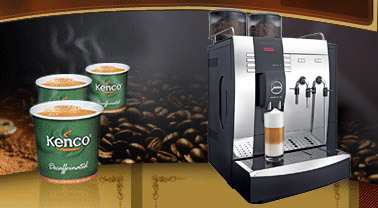 Kenco Cappio – A sweet and frothy instant cappuccino. PG Tips – The nations favourite tea. Suchard Regular – A rich, indulgent hot chocolate flavour drink from the famous Swiss chocolate makers. Carte Noire Espresso – An intense, dark and full bodied espresso. Kenco Colombian – Aromatic and sensual, a rich taste of Columbia. Carte Noire – A medium to strong, rich and smooth coffee – the connoisseur’s choice. Twinings Earl Grey – A light black tea flavoured by bergamot. Twinings Peppermint Infusion – A refreshing minty drnk – naturally caffeine free.